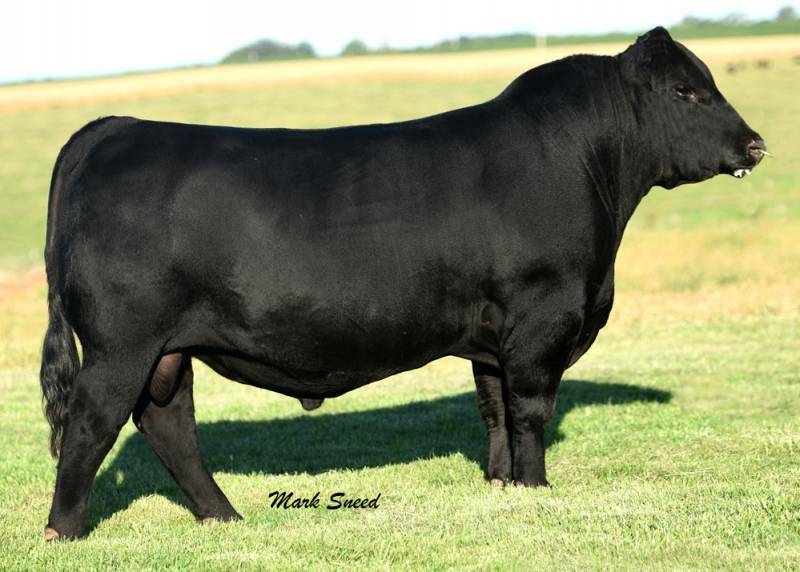 May-Way Equity has emerged as the leading calving ease son of the legendary sire, Barstow Cash. Just as was the case with Cash progeny, Equity calves come easy at birth, but grow with more vigor and performance than the typical “heifer bull”. In fact, in a very competitive contemporary group at Krebs Ranch, the first calf crop of Equity’s earned an impressive weaning ratio of 102. May-Way Equity progeny are stylish and correct with good growth and performance. The heifers look like heifers with tremendous femininity and body volume…and the bulls look like bulls with masculinity, performance and muscle. A top Equity son was the lead off member of the 2017 NWSS Reserve Champion Pen of 3 and went on to become the $47,500 second top-selling bull of the 2071 Krebs Ranch Bull Sale. The dam of Equity is the famous EXG Primrose P054 donor from Express Ranch and Rolling R3 in Oklahoma. She is the cornerstone of the May-Way program in Kansas who first gained notoriety in the show ring for MacKenzie Flory, winning the Western National in Reno and becoming a division champion at the National Junior Angus Show. As a donor, Primrose P054 quickly rose the top of the pack with a weaning ratio of 107 on 4 natural calves. In addition to Equity, she also produced a $30,000 Rocky son, WK Rock Me.